It would seem to a great extent interfaith engagement is replacing da’wah (calling to Islam). It’s as if we’re more comfortable explaining who we are than becoming what we’re supposed be. Some of this is undoubtedly rooted in a general malaise in the form of a lack of confidence in ourselves as well as in what it is we actually believe. The vast majority of so-called interfaith sessions I’ve attended have been populated by persons who don’t seem to know exactly what they believe in; a proverbial blind leading the blind. And if not leading then handholding. But when we look to Noah (Nūh), here is a man of God who preached, called people to God, and even wanted the best for them. Perhaps it’s here that the secret is laid bare: many Muslims today feel da’wah is akin to being closed-minded, arrogant, and self assured. That to call people to Islam is to preclude any compassion for them and perhaps, based upon certain previous models, they may be correct in that observation. Shaykh Khalid. 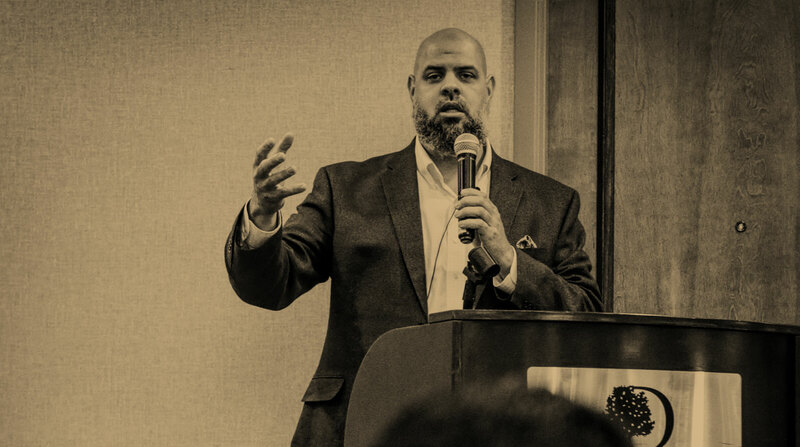 He was active in da’wah in southeast Michigan where I met him and ultimately became Muslim. Islam can only be explained so far, be it for non-Muslims as well as believers. At some point it has to be lived as well. Thanks it’s important to know the etiquette of da,wah. It,s a lost science.